May 5, 2017  Just in time for Cinco de Mayo, the Mexican-American singer celebrates a revolutionary spirit in her new single. 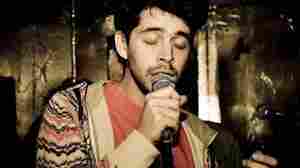 November 7, 2006  The Mexican-American singer turns the bitter experience of immigrants into music full of life. Her influences include traditional Spanish ballads and jazz from the American songbook. October 23, 2011  Hear the Mexican-American singer's examination of traditional culture — and see the amazing and vibrant contemporary artwork she's commissioned to accompany her music. January 28, 2012  Betto Arcos shares a modern protest anthem from Chile, a re-purposed Peruvian slave song, and more new music from Latin America. November 9, 2011  This week's show is all about songs with amazing stories and the power of comic books and graphic novels. March 20, 2010  The host of KPFK's world music show discusses some of his favorite tracks with Weekend All Things Considered host Guy Raz. 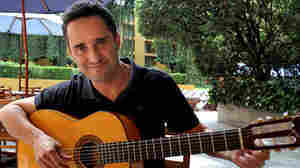 Among them are songs by Jorge Drexler, Omar Sosa and Lila Downs. 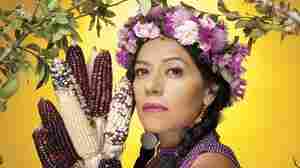 December 2, 2008  On her latest release, Shake Away, Lila Downs explores her mother's indigenous Mexican roots. The resulting folkloric soundscape includes unexpected flashes of blues, country twang and even klezmer music. Hear a session recorded by World Cafe. August 26, 2001  Lila Downs creates music that mixes her Indian-Mexican and Minnesotan roots. 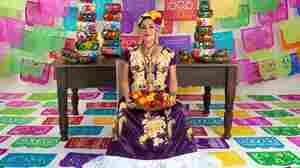 Michele talks to Lila Downs about her new CD, Border, which is dedicated to the Mexican migrant workers who lost their lives crossing the border.